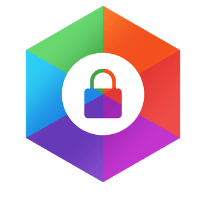 HexLock is a locker app that you can use to lock all of your apps, photos, and videos to safeguard your data and social profiles. And, even your net banking apps, and all. In the world of fast growing technology, security becomes the major concern which you must not ignore. 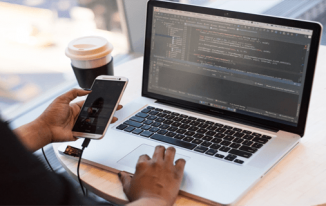 No matter you are using a smartphone or computer, everywhere you need some security enforcements in order to secure your personal data such as documents, photos, videos, and even your social media/email accounts. 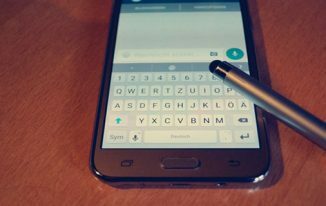 Let’s talk about using a smartphone! Nowadays everyone uses a smartphone, and there are times we leave our phone somewhere in our house, or sometimes some friends ask the phone to see or to make some urgent calls. 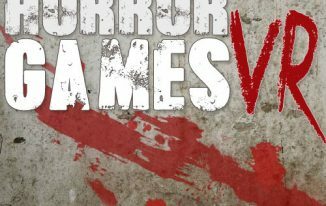 In these situations, you never know whether they can invade into your personal profiles, bank account, photos, videos, and do something nasty which may put you into big problems, and you cannot do anything but regret. So why not we lock the important stuff on our phone so that even if we give our phone to someone, they can only make calls, and cannot check out other things as they are locked. 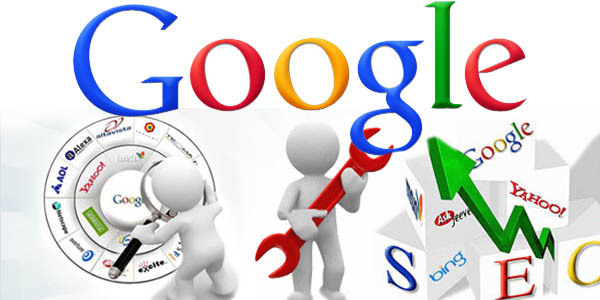 There are a lot of app locker apps available on Google Play Store for Android that you can use to lock your apps. I have written about many such AppLocks. Today, I came to know about one more AppLock, and that is HexLock App Lock and Photo Vault which is developed by Liquidum Limited. What is HexLock App Lock and Photo Vault? 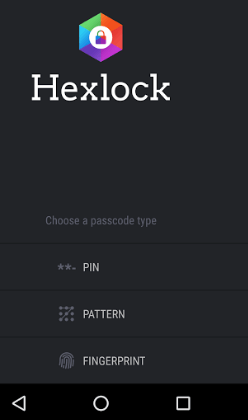 HexLock App Lock and Photo Vault is an Android app that allows you to lock all of your apps to safeguard your apps from others. 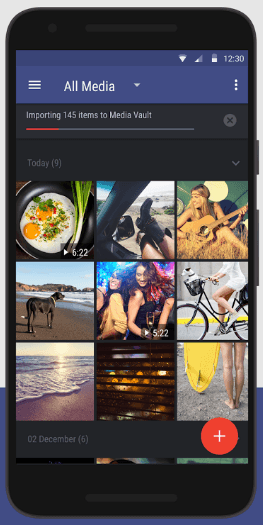 It does offer a safe vault for your photos as well which you can use to lock them so that no one can look into your albums without the password you set. Lock Apps: As the name says, the prime work of this app is to lock apps with a Pin, Fingerprint or pattern lock. In just a few taps, you will be able to secure all your apps. You can share your phone with your friends when they ask for it because you don’t need to worry about the security since all of your apps are locked, and they cannot access them. Social App Security: This locks the entire social and email apps too so that you stay worry free even if someone uses your phone. They cannot read your personal messages. 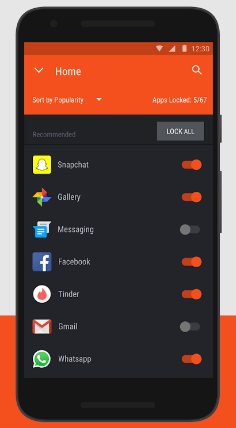 Automatically Lock Apps: It allows you to set it to activate app lock profiles whenever your phone connects to a known wifi network. Media Vault: Lock your photos and videos in the media vault to keep them safe. Many of us keep our personal photos and videos on our phone that we don’t want others to see, so keeping them all in the media vault guarantee the security. 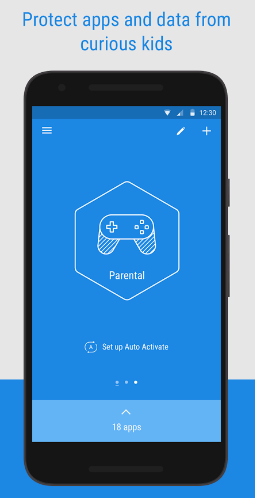 Parental Control: Since HexLock locks everything on your phone as per your requirement, you can give your phone to your kids to play games without having any worry that they will buy some games or delete important files, folders or media because HexLock keeps everything safe. Separate profiles for shared devices: If your home tablet is shared one that is used by more than 1 person, you can create separate profiles. Uninstall Prevention: This is my most favorite feature of this app. If enabled, no one can uninstall this security app without a password. I have used many applocks, and in the most of them, this feature is unavailable which keeps you on risk as anyone can uninstall that app lock and get access. But the case is different when you use HexLock; even for uninstallation, the password is required. Kudos to the team! Self-Activate: You can enable the Auto-Activate feature which allows this app to get active automatically when you change networks. HexLock app is one of my recent favorite app locks that I installed 3 days ago, and loving it like anything. I am not sure if it is happening with everyone or not but while writing the review, I thought to add some screenshots, but within this app, I was not able to use screenshot feature of my phone. It seems it blocked that too for security reasons. Though I was not able to get some screenshots to add here, this is really a good security feature too. Though I don’t need much security on my apps as I work from my home, and I have no security issues, but still I do try out such app locks to explore their features. What I found is almost all App Lockers have similar features with some different ones. But, some features are there in each that makes them stand out, and that is what with HexLock. I loved its uninstall prevention feature which is there in very few apps only. I would highly recommend you to try HexLock once, and enjoy! Than you very much for giving such important update. However, what’s about when I want to change my mobile id. That’s when chance the login id. I haven’t tried by changing mobile id but it will still work as you set it. Thanks for this amazing app review, by the I’m using another app which is named as only vault. I’m satisfied with the service of this app, but I will try this app to because of this interesting review ! I have personally used Applocker but then I removed it coz of annoying ads. Is this app completely free without popup ads? No free apps are available without ads because they do earn from it. But, this app has no annoying ads. You can try it out. You cannot predict about the future because when apps go popular, they do get ads and they use it.